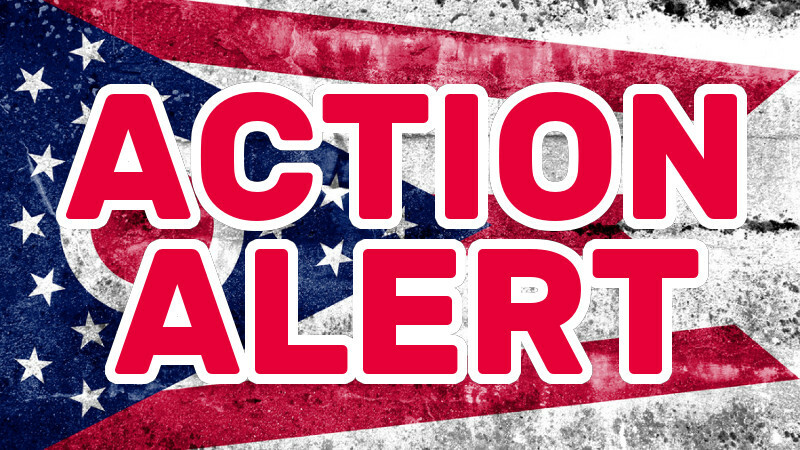 Action ALERT: Ohio Senate Oversight Committee to hear HB228, possible Stand-Your-Ground amendment! HB228 is scheduled for sponsor/proponent testimony in the Senate Oversight Committee on Monday morning at 10:00am! Your immediate action is needed to amend it into a SOLID Stand-Your-Ground law! As currently written, House Bill 228 does a few good things like removing the duty to retreat from an attacker and restoring the burden of proof to disprove a self-defense claim back to the prosecution. While good things in and of themselves, they by no means completely solve the problem, and don’t even come close to the Stand-Your-Ground passed by Florida, Missouri, Iowa, Wyoming and dozens more. In fact, in other states where the burden of proof IS on the prosecution to disprove a self-defense claim, gun owners have STILL sat in jail for using a firearm in self-defense situations (Google “Jay Rodney Lewis Iowa” for an example)! In other words, HB228 still leaves gun owners EXPOSED . ••• HB228 doesn’t have immunity from frivolous lawsuits or prosecutions. That’s why Ohio Gun Owners is asking you to contact the members of the Senate Oversight Committee right now to tell them to vote YES on the Jordan Amendment to HB228! This amendment, being brought forward by Senator Kris Jordan, would strengthen HB228 and make Ohio a true Stand-Your-Ground state, like Florida, Iowa and many more. This is your chance to play a part in one of the most important gun law reform efforts in Ohio history! To send them all a pre-written email, please click HERE! P.S. If the above email doesn’t work, please copy and paste the addresses, subject line and message below into your email browser and send it that way! subject: Please vote YES on the Jordan Amendendment to HB228! I’m writing you today as a law-abiding gun owner to ask you to address a weakness in House Bill 228, which is currently in the Senate Government Oversight Committee for consideration. But also right now, HB228 lacks a substantial enactment clause like Florida and Wyoming recently passed, and it lacks immunity from agenda-driven prosecutors without probable cause, which are hallmarks of “Stand-Your-Ground” law. Additionally, HB228 doesn’t have “threatened use of force,” either, which would allow gun owners to draw their firearm and deescalate violent, deadly situations – thereby saving lives. Consider this scenario: Under “threatened use of force,” a grandma and grandkids getting approached in a parking lot by a criminal brandishing a tire iron would be able to pull her firearm, back the would-be attacker, retreat with her grandkids, and safely go home. In other words, it would allow her to deescalate a violent situation safely, protect her grandkids, save the life of the would-be criminal, and do so all without opening herself up to an assault with a deadly weapon charge. The amendment to HB228 by Senator Kris Jordan would correct these oversights in HB228 and make it a comprehensive and much-needed reform of Ohio’s self-defense laws! This amendment was crafted by and has the full support of Ohio Gun Owners, Ohioans for Concealed Carry and Ohio Carry, and a large majority of the membership of Buckeye Firearms Association, too. Politically, with members of the Ohio Senate already under blistering attack by gun-control organizations, our governor and anti-gun politicians for considering a “Stand-Your-Ground” bill, NOW is the time to pass a full-orbed version! If we don’t correct our self-defense laws now, while the arrows are already incoming, we risk being right back in this same situation in the next general assembly. Please consider this request to amend HB228 with the amendment by Senator Kris Jordan, and help restore Ohio’s status to one of America’s leading states when it comes to defending and protecting our Second Amendment rights. Please vote for the Jordon amendment for HB228 , thank you !